Speaking of cute clothes, thanks to everyone who entered the Carter's $50 giftcard giveaway! The winner is #344, Gina Shen! Please email me to arrange the details. Congratulations!! 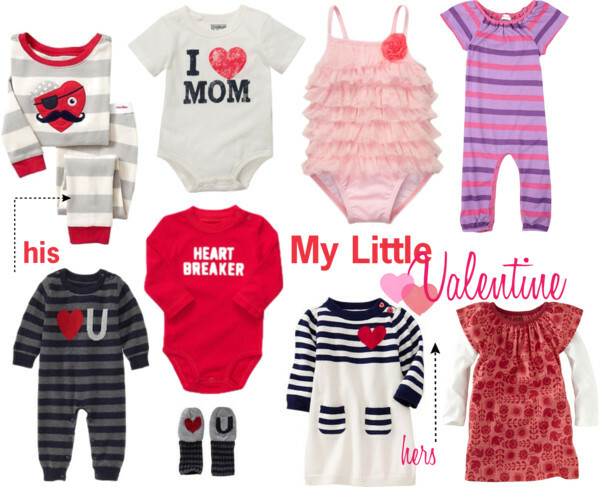 Isn't the Heart U collection at Baby Gap adorable. We definitely snagged some cuteness for our little peanut! I love it all!!! Have you seen the Peter Rabbit collection at Baby Gap? Adorable!! I know what you mean! I thought that chapter had closed (I have an 11 y/o and a 6 y/o) and I've mourned not having a tiny one... and then God gave me one more. :) It's SO FUN to dress her in cute little clothes! I just love the pirate pj's! They remind me of the super cute valentine's kit B and I bought at Paper Source. If only I had a girl...that little bathing suit is just the sweetest!! I just got the heart U outfit from Gap for Max as a gift from a friend. It is SO cute! I agree - holidays are so much better with kiddos! I found a cute matching Vday set for Max and Sadie for Valentine's day from etsy. I do ALWAYS love Gap's clothes though - I might have to get some of their Vday clothes too. Love that ruffled bathingsuit and heart breaker onesie!